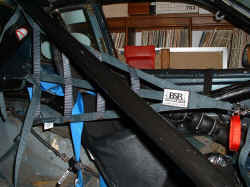 Details of in-progress interior net installation (as in NASCAR). 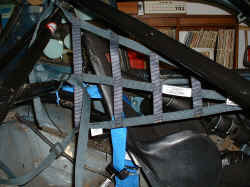 This net will support the driver's shoulder and head on the right-hand side in case of a lateral impact on that side of the car (such as experienced Aug 2003). For a left-hand lateral impact, the close proximity of the door bars, window net, and upper cage bar provide sufficient support to prevent additional injury. I still need to cut out the petty bar (the bar from the top of the main hoop down to the right-front bottom of the cage), as it's too close to my head, providing an impact hazard, and add some sort of lower attachment point for the bottom of the net. The front, not well shown here, attaches to the dash bar. 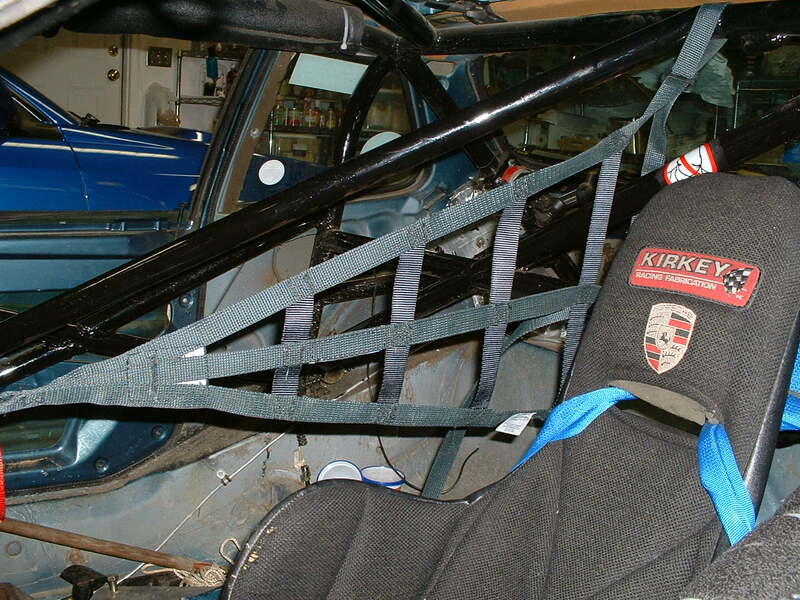 Additionally, since all the bars this net is attached to are horizontal, I will have to add small loops of 1/2" round stock welded to the bars to keep the straps from moving under load. 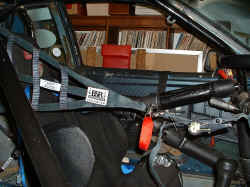 The red strap is the quick-release, which will disconnect the net from the dash bar to allow quick exit out the passenger side. 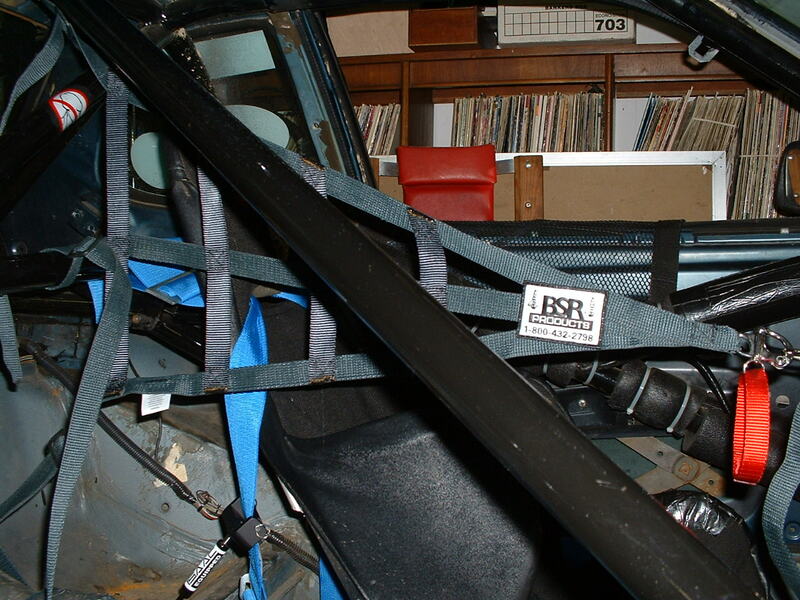 This net, a NASCAR Interior restraint net, was from BSR Products - http://www.bsrproducts.com/ - and cost about $75.